Fill out the info below to sign up for our E-Newsletter. Both - send all information to me! 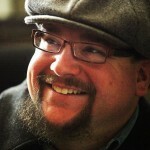 RYAN J. BRUCE is the Director of KISJ Community Media and 2182 Recording Company. From 2008 to 2018, Bruce served as the Executive Director of The Bisbee Radio Project and began his career more than 19 years ago at WFHB Community Radio in Bloomington, Indiana followed by a number of years on Capitol Hill working on legal and policy directives at the National Federation of Community Broadcasters, which represents more than 400 community radio stations across the country. He assisted in the coordination and convergence of the first Latino and Native American community radio conferences. Bruce is responsible for the creation of the KBRP Youth Media Project, Borderlands Community Media Foundation, and Copper Chronicle Radio Program. Mr. Bruce is also the owner of Bruce & Associates, Post-Soviet Depression Press, and Solfa Music and Books. He is always looking for your unused books, vinyl and instruments! MARY LU NUNLEY served on the Arizona Historical Society Board of Directors including terms as president and vice-president. In her positions with the city of Phoenix Water Conservation Office, she worked with Valley cities to increase awareness on where our water comes from and how to protect those resources. At Arizona’s Children Association, and with the Governor’s Community and Family Programs, she developed educational handbooks and videos for families and community organizations. Mary Lu also served on Congressman Jim Kolbe’s campaign staff and in his district office for more than 16 years. Now retired, she will continue to be involved in a variety of efforts to keep Arizona as the greatest place to live. Community outreach and education are the running threads through Mary Lu Nunley’s interests, both personally and professionally. Her family, a wide range of professional work, and the community strongly influenced her understanding how important culture is to developing a healthy community. Helping a community grow is always one of her goals when joining a program or project. Mary Lu was appointed to the Arizona Humanities board of directors by the governor. As a professor at Arizona State University, Jim Blasingame focuses on young adult literature, Indigenous curriculum, censorship, secondary reading and writing pedagogy, preparing pre-service teachers, and cowboy poetry. He also works with the ASU chapter of the US State Department’s International Leaders in Education Partnership, for which he helps visiting teachers from around the world to create professional development modules to use with teachers in their home countries. 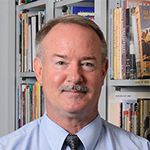 Dr. Blasingame is the executive director of the Assembly on Literature for Adolescents of the National Council of Teachers of English, and has served as its president and co-editor of The ALAN Review, a journal devoted entirely to young adult literature. He is an assistant to Henry Quintero and Simon Ortiz on the RED INK Indigenous Initiative for All: Collaboration and Creativity at Work. Dr. Blasingame has published over 100 interviews with poets and authors of young adult literature and over 200 book reviews in VOYA, Journal of Adolescent and Adult Literacy, The ALAN Review, and English Journal. 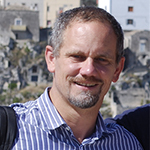 Dr. Blasingame was the 2018 ASU College of Liberal Arts and Sciences Zebulon Pearce Professor for the Humanities, a 2018 Pat Tillman Veterans’ Center Professor, and the 2017 Arizona Humanities Dan Shilling Public Humanities Scholar. He was a 2014 ASU Doctoral Mentor of the Year, and the 2008 ASU Parents’ Association Professor of the Year. He was the 2008 International Reading Association Arbuthnot Award winner for outstanding professor of children’s and young adult literature. He has given presentations and/or performed cowboy poetry at the National Council of Teachers of English convention, the International Reading Association, the Western States Conference on Rhetoric and Composition, and the Graz University International Summer School at Seggau Castle in Austria. Before coming to ASU in 2000, Dr. Blasingame spent twenty-four years in secondary education as a high school teacher, coach, bus driver and principal. JENNIFER C. BONILLA is currently CEO at SFE, a revolutionary K-12 school nutrition company headquartered in Scottsdale, AZ, which serves more than 120 school districts nationwide. Her higher education teaching began in 2014 at Arizona State University, where she teaches graduate healthcare finance and also mentors students. Previously, Dr. Bonilla worked in executive roles for four global service organizations, including serving as CEO for ISS Facility Services; Division Healthcare President of Sodexo, LLC; and President – North America for Pitney Bowes Management Services. She holds a Ph.D. from Iowa State University of Science & Technology, a Master’s of Health Innovation from ASU, an MBA from the University of Phoenix, and is a board-certified Fellow (FACHE) of the American College of Healthcare Executives (ACHE). Dr. Bonilla is passionate about creating programs which enhance child nutrition and literacy, healthcare access and quality and is committed to lifelong learning. As a Scottsdale resident since 2011, Dr. Bonilla previously held membership in the Scottsdale branch of the University Women’s Club with fundraising responsibilities for Arizona’s centennial celebration and is a United Blood Centers donor. JULIE CODELL is Professor of Art History at Arizona State University and affiliate faculty in English, Gender Studies, Film and Media Studies and Asian Studies. She has a Ph.D. in Comparative Literature from Indiana University Bloomington, an MA in Art History from Indiana, an MA in English from The University of Michigan and a BA in English from Vassar College. She was Vice Chair of the Montana Humanities Council while teaching at the University of Montana, Missoula, and a grants evaluator for the NEH, the Australian Research Council and the National Humanities Center. Her research and teaching interests are 19th-century European culture and the press, the British empire, 19th- and early 20th-century India, life writings and film. She wrote The Victorian Artist, and edited Transculturation in British Art; Power and Resistance: The Delhi Coronation Durbars; The Political Economy of Art; Imperial Co-Histories; and co-edited Orientalism, Eroticism and Modern Visuality in Global Cultures; Encounters in the Victorian Press, and Orientalism Transposed. She received fellowships from the National Endowment for the Humanities, Getty Foundation, Kress Foundation, Huntington Library, Ransom Center, and Yale Center for British Art. She has been president of 5 Victorian studies societies, board member of 8 professional organizations, and 6 scholarly journals. 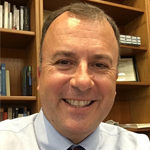 ALAIN-PHILIPPE DURAND is Dean of the College of Humanities, Professor of French, Honors College Distinguished Fellow, and affiliated faculty in Africana Studies, Latin American Studies and LGBT Studies at the University of Arizona. His research interests include French and Brazilian literatures, French Cinema, Hip-Hop, and the promotion of the Humanities disciplines in the professions. He is the author and editor of four books: Black, Blanc, Beur. Rap Music and Hip-Hop Culture in the Francophone World; A Techno World. New Electronic Spaces in the French Novel of the 1980s and 1990s (preface by Marc Augé, published in French); Novels of the Contemporary Extreme (co-edited with Naomi Mandel), and Frédéric Beigbeder and his doubles (published in French). He has published chapters and articles in journals such as PMLA, The French Review, Romance Notes, Contemporary French Civilization, L’Esprit créateur, and Romance Quarterly, among others. He is Associate Editor of the journalContemporary French Civilization. The French Government awarded Durand the Palmes Académiques. The University of Arizona awarded Durand the Five Star Faculty Award, the Richard Ruiz Diversity Leadership Faculty Award, and the African American Community Council’s Distinguished Faculty Award. The French publication France-Amérique named him among its list of fifty French talents living in the United States. As a Dean of the College of Humanities and Social Sciences at Grand Canyon University, I am focused on higher education innovation. I have numerous years of experience preparing and mentoring secondary education professionals in transforming their teaching to meet the needs of learners of the 21st century. My researcher interests include Holocaust education, world religions in the public school classroom, and deep learning. With 17 years of teaching religious studies, political science, and history at both the secondary and college levels, I consider myself a life-long learner who seeks to model the innovation that I expect from my faculty and emulate for others. 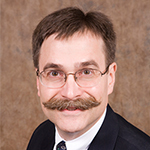 DR. VALERIO FERME is Dean of the College of Arts and Letters at Northern Arizona University. He received his PhD in Comparative Literature from the University of California at Berkeley in 1998, and was professor of Italian and Comparative Literature at the University of Colorado, where he served as Chair of the Department of French and Italian for three terms, and as Divisional Dean for the Arts and Humanities. Dr. Ferme has published two single-authored books, Tradurre è tradire. La traduzione come sovversione culturale sotto il fascismo (Longo, 2002) on how translation helped subvert the aesthetics and policies of Fascism under Mussolini; and Women, Enjoyment, and the Defense of Virtue in Boccaccio’s Decameron (Palgrave, 2015). He also co-authored Italy and the Mediterranean: Words, Sounds, and Images of the Post-Cold War Era (Palgrave, 2013 with Norma Bouchard); and co-edited two volumes (From Otium to Occupatio in Italian Culture, Annali d’Italianistica, 2014; and Mediterranean Encounters in the City, Lexington Books, 2015); co-translated another (Southern Thought and Other Essays on the Mediterranean, Fordham UP, 2012); and published more than 50 articles and reviews. He is the president of the American Association of Italian Studies. Among his recognitions are the Boulder Faculty Assembly Award for Excellence in Teaching (2014), and the Office of Diversity, Equity, and Community Engagement Special Award (2017) for his work on behalf of staff, diversity hires, and indigenous initiatives at the University of Colorado. As Dean at Northern Arizona University, he is leading a more conscious attempt to create substantial relationships with Indigenous communities; and is working to support more interdisciplinary research and public scholarship. JOEL FRITZLER, a Hoosier by birth, moved to Portland, OR when he was eight. Twenty years later, he became a Peace Corps Volunteer in Botswana. He then spent a year in Malawi with the UNHCR as a logistics officer with the Mozambican Refugee Programme. After those experiences, he landed in the flatlands of Central Illinois where he received his Master’s degree in Applied Community Development from Illinois State University. Joel also has a BS in Business Administration from Warner Pacific University. Joel has been to all 50 U.S. states and to over 30 countries; and has lived in four of them. From ISU, he thought that he would move to Southern IL for a couple of years but, 15 years later, he became the Mayor of Carbondale; where he also worked for Southern IL University. Joel and his wife Julie (who works for NAU’s Dept. of Social Work) moved to Flagstaff in 2014. Joel has previously been involved with the So. IL Irish Festival, Carbondale Community Arts, Keep Carbondale Beautiful, United Way, and the American Red Cross. In September 2017, he was appointed to the City of Flagstaff’s Beautification and Public Arts Commission, and started taking cello lessons. DANA JAMISON is an orthopaedic surgeon, fellowship trained in sports medicine and specializing in Wound Care and Hyperbaric Medicine. As a physician she gave up the long hours of a sports medicine and trauma surgeon after her kidney transplant, and is now a faculty physician and orthopaedic consultant at Banner University Medical Center Phoenix and the Southwest Center for Orthopaedics & Sports Medicine. She graduated from Harvard College with a degree in Psychology and Social Relations, attended medical school at the University of Illinois at Chicago, did her residency at the University of Medicine and Dentistry of New Jersey, and sports medicine fellowship at the Los Angeles Orthopaedic Institute. 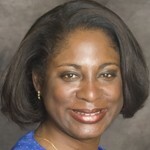 As a servant-leader much of her nonprofit and community involvement has been in arts & culture at Phoenix Theatre, ASU Piper Center for Creative Writing and the Phoenix Library Foundation; health advocacy at Donor Network of Arizona and the National Kidney Foundation, and African American experiences with the Alpha Kappa Alpha Sorority, The Links, Jack & Jill of America and Tanner Chapel AME Church. As a “lover of words” she will continue to be an advocate of the word and sharing it with others, supporting its access to all. KARL KENDALL has worked for the Phoenix Public Library for the past 17 years. In his current role as the Deputy Director of Collections and Programming, Karl oversees the coordination of programs, services, and the purchasing of library materials across this diverse system of 17 Library locations. Prior to his current position, Karl managed the Century, Cesar Chavez, and Agave libraries, overseeing the opening of the latter two. Karl holds a Bachelor’s degree in History from Arizona State University and a Master’s degree in Information and Library Sciences from the University of Arizona. Married with three young children, Karl’s main passions are music, baseball, and, of course, reading. 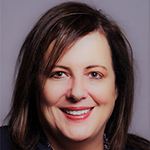 EVE KRAHE serves as the Dean of Graduate Programs in the School of Health Services Administration (SHSA) at the University of Phoenix, overseeing the experience and outcomes of approximately 1500 students. 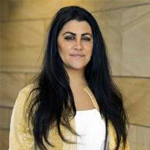 Prior to joining the University, Eve was the Director of the Undergraduate and Graduate Healthcare Innovation Programs at Arizona State University (ASU) and held the rank of Associate Professor. 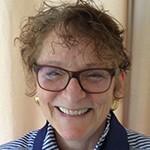 Dr. Krahe is a member of the Board of Directors of the American Association of University Administrators and a member of the Board of Directors of the Arizona Humanities Council. She is a founding member of the Upsilon Phi Delta Health Administration Honors Society chapter at the University of Phoenix, and a founding member of the ASU Center for Interprofessional Education in healthcare. She has participated as an invited judge at the ASU Herberger Design School’s Health and Healing Environments Charrette, and is a member of the Society for Ethics Across the Curriculum (SEAC). She continues to sit on doctoral committees at ASU and elsewhere. Each year, she convenes the SHSA Industry Advisory Council, comprised of senior leadership from across the health sector – including architecture, sustainability, philanthropy, health systems, and analytics. Her academic background is in complexity science, anthropology, international relations, and comparative religions. 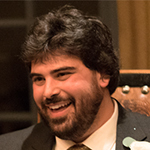 ANDREW KRAHE is currently serving as technical administrator in Learning and Development at Central Arizona Project. His oversight includes the coordination, dissemination, and recording of Manager, Supervisor, Safety, and Field training delivered to CAP’s approximately 500 full-time employees who are distributed across the organization’s Pumping Plants, Headquarters, field offices, and 336 miles of canal system. 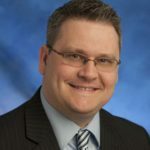 Prior to this role, Andrew was the co-founder and operations director of an international membership-based medical continuing education organization headquartered in Arizona with international presence in Canada, India, and China. Andrew received his bachelor’s degree from the University of Michigan in Sociocultural Anthropology with a focus on Medical Anthropology. His personal and professional goal has always been to translate this academic understanding of dialogue and culture into the corporate learning and development environment. He is a lifetime member of both the Sigma Alpha Lambda National Leadership and Honors Organization and the Delta Epsilon Iota Academic Honors Society. He holds technical Certifications in the Perigon® Method of Process Mapping and the SumTotal Learning Management System. 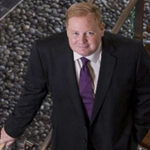 He also has extensive experience with customer relationship management. VINCE LUJAN has served as the President and Chief Executive Officer of Salt River Devco since 2010. Salt River Devco is an economic enterprise of the Salt River Pima-Maricopa Indian Community responsible for real estate development and asset management within the Indian Community in Scottsdale, Arizona. Vince began his career more than 17 years ago at the U.S. Indian Health Service followed by attorney positions in the public and private sectors, representing Indian Tribes and Tribal Organizations locally and nationally. 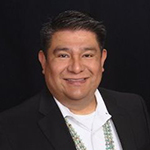 Vince serves on several nonprofit boards, including the National Indian Youth Council, Inc., the Indian Law Section of the New Mexico State Bar, Arizona Attorney Magazine Editorial Committee, the Anderson School Alumni Board at the University of New Mexico, and the U.S. Indian Health Service-Phoenix Area Office Institutional Review Board. Vince is admitted to practice law in Arizona, New Mexico, and U.S. District Courts in Arizona and New Mexico. He is a three-time graduate of Arizona State University where he received his Ph.D. in Justice Studies, Juris Doctor, and Master’s in Public Administration. He received his Bachelor’s degrees in Accounting and Political Science from the University of New Mexico. Originally from Taos Pueblo, New Mexico, he calls Arizona home but maintains connections to New Mexico. Dr. Tanae Morrison is an educational change agent. An Arizona native hailing from Tucson, she has methodically and strategically forged through the ranks of statewide educational leaders to find herself among the top educators in her field. Tanae earned a B.A. in Sociology, an M.A. in Educational Psychology, an M.A. in Educational Leadership, and a Doctoral degree in Educational Leadership respectively and is now setting the educational system in Arizona on fire by becoming one of the most highly regarded women in business in the state. Tanae has been a driving force in the Arizona educational system and has not wavered from her passion for rigor and excellence in the academic development of students wherever she has served. 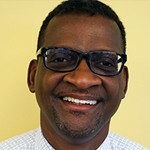 Dr. Morrison has been in the educational field for over 20 years beginning as a teacher assistant, and progressing through special education, student advocacy, teaching, school counseling, and now is the CEO of Morrison Education Group, Inc. dba Sun Valley Charter School founded in 2009. A mark of excellence many cannot claim. Sun Valley Charter School emerged because Dr. Morrison saw that students in the Laveen/South Mountain community were being underserved. Dr. Morrison committed to make a change in this community. With the help of enthusiastic believers in her mission, Tanae brought the school’s program to a high need area because of a strong conviction that all students can learn when given the right tools along with love and support. Over the course of nine years Dr. Morrison has employed a diverse group of passionate educa-tors beginning with 10 employees to now over 35 employees. Sun Valley is currently ranked among the highest in its service area by the Arizona Department of Education. Morrison Education Group is now extending its reach through a new school campus pro-ject to improve the academic outcomes for more than 750 young scholars and employing over 50 faculty and staff all while positively impacting the local community. This is due in part to Dr. Morrison’s strong character, excellent interpersonal communication skills, relentless desire for excellence and a genuine love for those she serves. 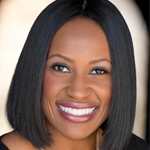 Dr. Morrison is a respected member of the Phoenix business community, an active member of Delta Sigma Theta Incorporated, which is an international service organization, is involved in ongoing community outreach through Pilgrim Rest Foundation. She is a well- respected pillar in the community. ESHЀ PICKETT is a Cloud Automation Engineer at Intel Corporation in Chandler, AZ. She has been with the company since 2005. 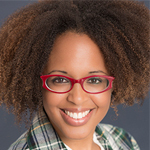 In her role, Eshé is responsible for architecting, developing, deploying and supporting Internal, External and Hybrid Cloud computing for Intel Data Centers. Eshé participates in STEM outreach, specifically targeting women in engineering. She received her Bachelor’s degree in Computer Science from Northwestern University and her Master’s degree in Computer Science from the University of Chicago. Eshé is an active community member who strongly advocates for civic and civil engagement. She is a graduate of Valley Leadership, mentored for 6 years with Big Brothers Big Sisters of Central Arizona, and served as Precinct Committeeman in Legislative District 18. Eshé believes that exposure to Arts and Culture is critical in the development of intelligent and useful design and feels the mission of the Arizona Humanities is crucial in retaining the human element in advancing technology. 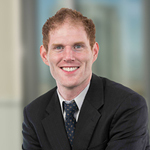 STEPHEN RICHER is a transactional attorney in the downtown Phoenix office of the international law firm Steptoe & Johnson LLP. Stephen’s life changed in 1998 when his mom forced him to read the first chapter of Harry Potter and the Sorcerer’s Stone. He has since always loved books–particularly Nineteenth-Century British Literature, Golden Age Russian Literature, fantasy books, and science fiction. Within the arts and humanities, Stephen also loves to sing along (poorly) with musicals, watch hip-hop dance, try his own hip-hop dance (high on enthusiasm, low on talent), and watch bad romantic comedy movies. Stephen previously lived in Salt Lake City, Hermosillo (Mexico), New Orleans, Chicago, and Washington DC. He now in lives downtown Phoenix with his fiancee Lindsay. Stephen received his law degree and master’s degree from The University of Chicago, and he received his bachelor’s degree from Tulane University. DIANNA SOE MYINT retired from Motorola after 41 years of service. During her last two years at Motorola, she facilitated three day seminars for Stephen Covey’s Seven Habits of Highly Effective People to 3560 employees. After retiring from Motorola she also presented these seminars to Honeywell and Avery- Dennison employees. 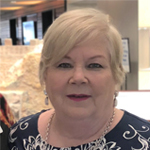 Dianna was president of Paradise Republican Women’s Club, Arizona Federation of Republican Women Region Eight Director for four years and currently the AZFRW Region Director Coordinator and Leadership Development Chair. In 2009, she was selected to participate in the Dodie Loden Excellence in Public Service Series. 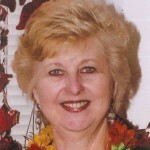 Dianna has been married for 48 years, and has one son, and one grandson. CHRISTINE SZUTER is executive director of the Amerind Foundation in Dragoon, Arizona, since fall of 2014. Before arriving at Amerind she was the director of the graduate Scholarly Publishing Certificate program at Arizona State University in the School of Historical, Philosophical, and Religious Studies. She holds a PhD in Anthropology from the University of Arizona specializing in Southwest archaeology and zooarchaeology. Her research interests include food systems, Indigenous studies, digital humanities, gender studies, scholarly publishing, and public history. 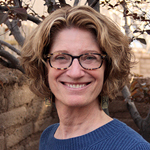 Her connection to Arizona Humanities began soon after graduation when she became the Arizona Humanities Scholar-in-Residence at Sahuarita High School. She has served as the director of the University of Arizona Press where she collaborated with three other university presses on the First Peoples Initiative funded by the Andrew W. Mellon Foundation—a book series on Native American and Indigenous Peoples. She has served on boards and committees for the Society for American Archaeology, American Association of University Presses, National Council for Public History, University of Arizona Digital Information Management (DigIn) Certificate program, Arizona State University Institute for Humanities Research Nexus Lab, Western National Park Association, and Arizona Archaeological and Historical Society. Associate General Counsel–Regulatory Affairs, Cable One, Inc.
EMERSON YEARWOOD has been a member of the legal team at Cable One, Inc., since joining the company in October 2000. As Associate General Counsel & Director of Regulatory Affairs, he is primarily responsible for managing the company’s regulatory compliance and reporting for Cable One’s video, internet and VoIP services. In addition, he also directly supports General Counsel and Assistant General Counsel in a wide variety of legal matters. 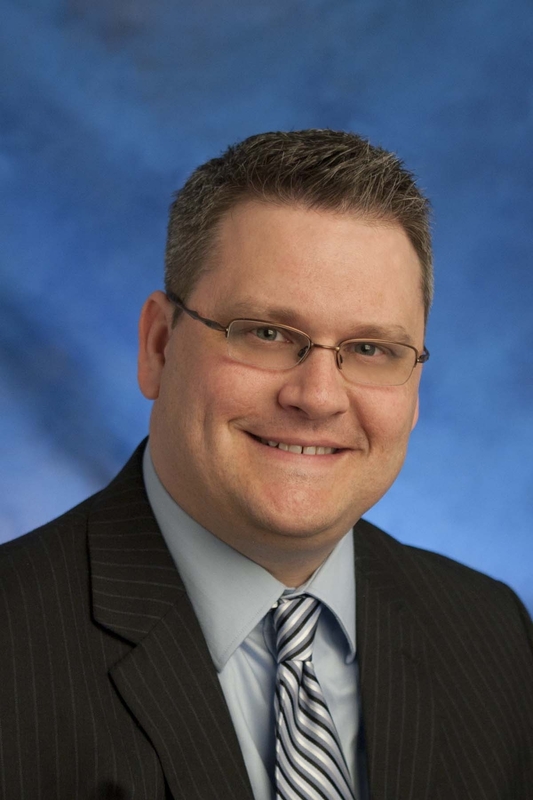 Prior to joining Cable One, Emerson gained five years of cable industry experience with Falcon Communications and the Cable Services Bureau of the Federal Communications Commission. He holds a J.D. from UCLA, an M.B.A. from the Yale School of Management, and a B.S. in City Planning from MIT. His past board experience includes serving as the Chairman of the Black Alumni of MIT. Emerson is a native of Barbados and was raised in the Bronx, NY. He enjoys travel, hiking and the occasional game of golf. Arizona Humanities builds a just and civil society by creating opportunities to explore our shared human experiences through discussion, learning and reflection.